Dental implants in Plano are the preferred choice to replace one or more missing teeth because they provide a variety of advantages that are not possible using any other treatment. They replace both the root and crown of the tooth, so you can enjoy the next best thing to your natural teeth. Legacy Trails Dental will help you discover the benefits of dental implants to invest in your oral health and quality of life. Traditional dental prosthetics only treat the visible portions of your tooth. Although several advancements have improved their aesthetics and fit, they never truly feel natural. Dental implants closely mimic every aspect of your natural teeth. The implant post acts as a new tooth root to anchor your restoration in place. This allows you to regain as much as 70% of your biting force while you smile confidently with a natural-looking appearance due to all-ceramic material. Dental implants are the most reliable treatment for tooth loss. They offer over a 95% 10-year success rate when you care for them properly by maintaining your oral hygiene and visiting your dentist in Plano regularly. You will enjoy a solution that can last for several decades, so you never need to worry about having them replaced down the road. When you lose even a single tooth, the density in your jawbone slowly decreases because it is no longer stimulated by the root. Dental implants are the only treatment to encourage new bone growth to improve your jaw’s density. This protects your facial structures to maintain a youthful appearance by preventing premature wrinkles and sagging of the skin. Improving your jawbone’s density stops dental drift. Your teeth have the support they need to stay in place. This prevents alignment issues while also decreasing your risk of tooth decay, gum disease, and additional tooth loss in the future. Not to mention, dental implants do not rely on your remaining teeth to support them. Overall, dental implants enhance your oral health to reduce your long-term dental costs. Dental implants cost more upfront than traditional treatments, but they are more affordable long-term. The amount you pay is based on your individual treatment plan. We provide you with a custom estimate during your initial consultation. We work to keep your new smile affordable by maximizing your dental insurance to reduce the amount you need to pay out-of-pocket. We also accept a variety of payment options to cover any remaining balance, like CareCredit. Since they can last for several decades, you can rest assured you are investing in your smile. No matter if you are missing one tooth, multiple teeth, or an entire arch, dental implants can help. We create the individualized treatment plan you need to rebuild your smile. 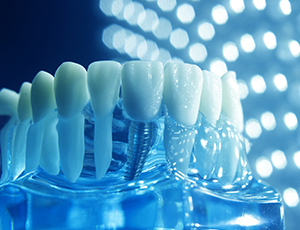 Contact our office today to see if you are a candidate for dental implants. We look forward to seeing you smile.